Yes and yes. Save as soon as the issue happens and tell us what you did before. OK. Very next flight TNCC-KCLT. Again, doing managed climb through 10,000 ft I saved the active flight plan to SEC F-PLAN. Approx 16,000 ft, managed speed dropped to 203 (see attached screen shot and saved flight). I set manual speed, switched to heading hold and activated SEC F-PLAN. It restored the managed speed for about a minute, then dropped back to 203 again. I continued the climb in manual mode until leveling at FL360 and into CRZ. I tried re-activating the SEC F-PLAN but it did not restore managed speed, so I continued with manual speed .78 until the waypoint I had been flying to (DCR) was past. Then I reactivated the SEC F-PLAN again. Managed speed was restored to .78, so I reactived managed speed through the next waypoint (ETBOD). Passing through ETBOD the managed speed dropped off again and set the CRZ speed manually for the rest of the CRZ. The flight is still in progress, but I plan to restore the SEC F-PLAN once past the last waypoint prior to TOD and see if I get the correct managed speed for descent. Will report back on that. @2 hrs 43 min into the above flight, I changed my approach at KCLT from ILS 18L to ILS 36R. That restored the correct managed speeds; however, I plan to continue with manual speed until just before TOD then switch to managed for the descent. UPDATE: Was away for about 15 mins. Came back 3 hrs 1 min into the flight and managed speed had dropped again. Plan to re-activate SEC F-PLAN passing waypoint before TOD and change arrival to 36R and see if it will do a managed descent. UPDATE for completion of above flight. Passing CHS final waypoint before TOD (approx. 30 nm before TOD) I re-activated SEC F-PLAN and changed the arrival to ILS18R as before and cleared the discontinuity. Managed CRS and DES speeds were restored, so I activated managed speed mode. Then, approx. 5 miles before TOD, managed speed dropped out again. I flew the descent manually having to change the approach again to ILS 18L and re-engaged managed mode when in APPR mode. No problem from there. Hope you can use the Save file to find a resolution to this annoying issue. Thanks. Updated and will be flying it this morning. Report to follow. Same problems with 1.2.2.0. Managed speed dropped off in CLB out of KCLT approx. 5 mins 33 secs into flight passing approx. 15,000 feet. I did notice that the managed speed had just changed from about 298 kts to 293 kts. I restored the SEC F-PLAN but like before Managed Speed mode worked for a couple of minutes and dropped again. It seems that upgrading to 1.2.2.0, all problems are solved, and it runs very well. But not in my case. I used the Updater to update to 1.2.2.0. 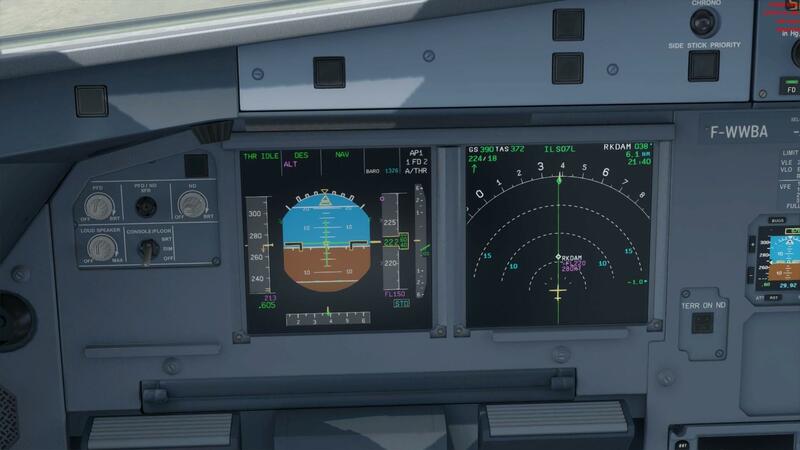 The AS319 also works very well. Upgrading to 1.2.2.0 seems to completely solve this problem. Now I am waiting for the AS330. Details of my problem are described pretty thoroughly on this page and the previous page. The topic title describes it, too - "Managed Speed Lost During Flight" However, there are several other threads by various people sprinkled about the forums describing the same problem. Yes, but others also reported it as solved. Not solved for me. See my first post 1.2.2.0 flight above. Also, see zhensanmao's last post above negating his previous report of "all cured with v1.2.2.0." EDIT - zhensanmao's image does not appear to show the same "managed speed" issue as described in the topic and that I still have. Did you run the ASUpdater "As Admin"? Don't think so. I'll uninstall, reinstall (as Admin), and then run the Updater as Admin. Is there an easy way to force the Updater to re-Update? I'm pretty certain I ran the downloaded install as Admin. IGNORE - I'm going to re-install and Update via Updater. EDIT - Ok, I think I found the way to trick the Updater to re-applying the 1.2.2.0 version. Compared the Aerosoft A318-A319 Professional_1.2.2.0_Log.txt log and the previous (which may not have been run as Admin) and they are identical - same 12 files and "Update successful!" at the end. With the new files, can you try another flight to see if the problem remains? Yes, but I'm going the complete uninstall, re-install, the Updater route. Will probably know within an hour if the managed mode problem in CLB happens again. Will report success or failure. Okay, so we are in a strange situation now. We see the issue solved on our test systems and we have some customers who report it solved. Others report it is not solved. That can have three causes, either we are not talking about the same issue, the conditions are not the same, or the sim setups handles the same files differently. It will be complex finding out what is happening. Uninstalled, re-installed and ran Updater to 1.2.2.0 as Admin. Currently in flight in CRZ in managed mode. CLB had no problems in managed mode. Will report if/when I experience a subsequent managed speed problem or on successful completion of flight. Given this bug was biting me every flight, this is promising. Still fails for me. 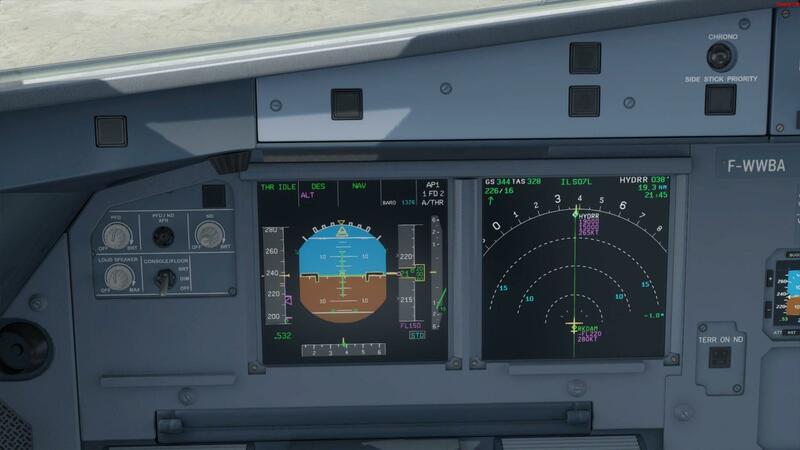 1.2.2.0 cfm A320.